At last, the bitter cold is slowly disappearing and allowing some mild temperatures and the sun to shine through. Unless you’re in a year-round sunny place then you’ve been lucky but you still might need some inspiration for the upcoming summer season and the bold beautiful hats it’s brings with it. You want to wear hats during the summer to protect your healthy tresses from damage from the hot heat. You’ve probably become use to stuffing your hair under a winter cap or beanie but now its time to bring out the more sunny styled hats and match your tresses to the look. 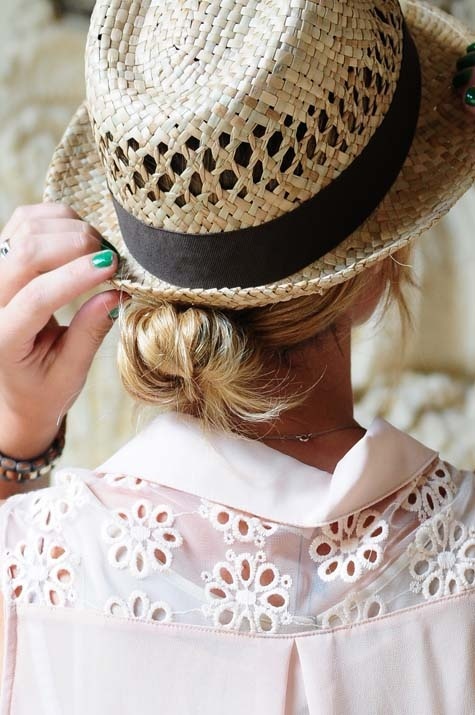 It can’t be simpler than throwing on a big hat and then pulling your hair together in a loose side braid. This will look great with a hat, show off your hair so that you can still get some natural summer color and protect your hair from potential heat damage. It works great if you get it wet after some swimming and let it try into some beach waves from the braid. A big summer hat is going to protect both your skin and hair from UV rays but you don’t want to be all bundled up hiding away. 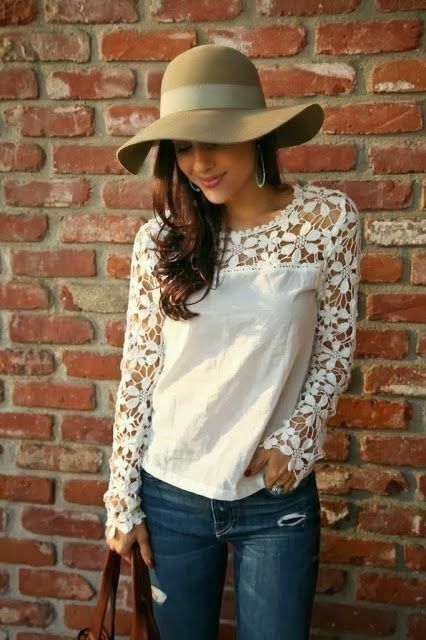 Show off your straight hair under a big hat for a simple summertime look. A whicker fedora is the perfect summertime hat but it can be tricky if you want to wear your hair off your neck. A topknot is obviously out of the question but a simple low bun that is placed just under where the brim of your hat is a perfect solution. If you have layers or a natural wavy texture – or perhaps you throw in some mousse for movement then you don’t need to do much to your summertime hair. A summer hat will look great if you sweep it to one side to show off but protect your hair and still show off your cute summer wardrobe. If you’ve been considering some bangs then summer might be the right time for a new look. Bangs are a perfect way to show off your feminine look but still wearing a trendy hat that covers you up. Face-framing bangs rather they are side-swept or blunt will look summer time splendid with a hat. A great hairstyle to keep your medium length or long hair off your neck is pigtail braids. You can’t go wrong with classic summertime-inspired hairstyle and a big floppy hat, baseball cap or a chic fedora.